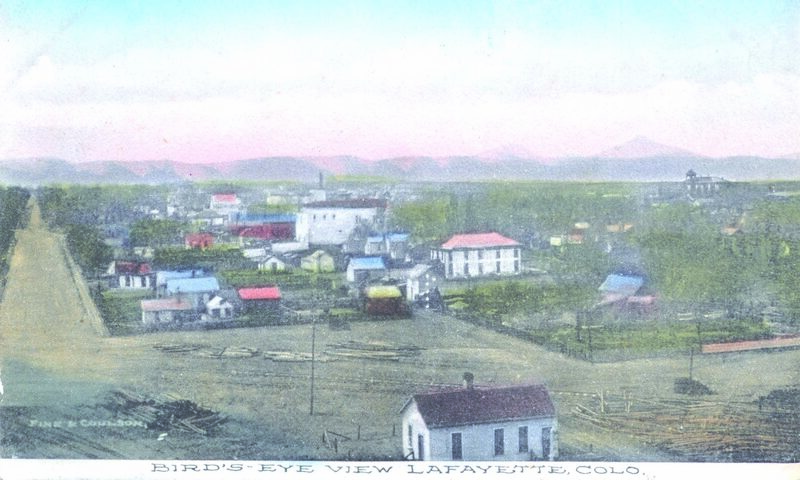 In 1875, the Miller Farm covered almost 900 acres, about 100 acres of the farm was dedicated and platted in 1888 by Mary E. Miller as the Town of Lafayette. 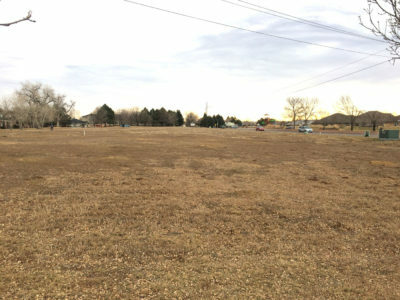 Today, Lafayette City Hall sits at the southwest corner of the former farm, the intersection of South Boulder Road and S. Public Road. 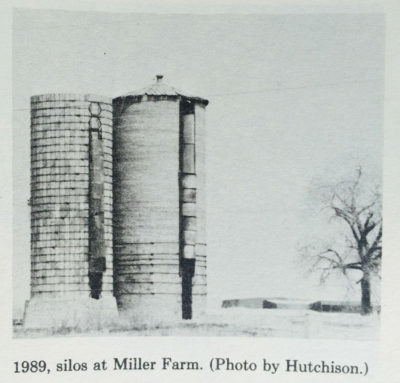 The Miller Farm silos were about 200 yards east of city hall. Shown in 2018 is the site where the Miller Farm silos once stood. In 1993 there was an urgent need to destroy the landmarks, yet the same site sits essentially unused and undisturbed — as it has for the past 25 years. The destruction of the Miller Farm silos led to enactment of a codified demolition review process, a timeout of sorts that allows city staff and citizens of the city to take inventory of what’s about to be destroyed. The Lafayette Historic Preservation Board now reviews demolition proposals for structures 50 years old or older. The board can also issue 90-day stays on demolitions. Additionally, the historic preservation ordinance allows citizens to third-party landmark significant structures. Third-party landmarking proposals have been brought forward to preserve the Circle Motel and the Lafayette Feed and Grain building. Neither was successfully landmarked. The poster child of horrible city planning, the Lafayette City Center development remains unbuilt as of 2018 and the site of the former silos is nothing but a vacant lot full of (mowed) weeds. Sadly, the grand and historic silos were simply a blemish to be erased from a developer’s blueprints — a piece of paper showing grand plans that never materialized.